Obama (小浜市, Obama-shi) is a city in Fukui Prefecture, Japan. It faces Wakasa Bay due north of Kyoto, and is about four to seven hours by train from Tokyo. As of April 1, 2017, the city has an estimated population of 29,213 and a population density of 130 persons per km². The total area is 232.85 km². Obama gained publicity in the United States and elsewhere in 2008, as it shares its name with the then-senator Barack Obama, who was running for, and later became President of the United States. Obama means "little beach" in Japanese. 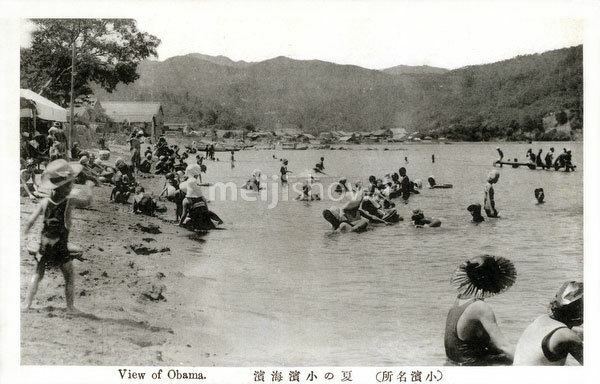 In the Ritsuryō period, Obama was the capital of Wakasa Province, one of entrance of continental culture. Many temples related to the Yamato Dynasty are located in Obama, and the city is called "Nara by the sea". In the Edo period, Obama was the capital of the Obama Domain and was the starting point of the Mackerel Road to Kyoto. As a result of its location in the Wakasa Province area, which travelers passed through when traveling between China and Kyoto, the area was influenced by Chinese culture for a long period. There are many buildings and houses in the Sancho-machi area of the city whose design was influenced by trade with the Chinese mainland. The area was established as a city on March 30, 1951 although the area has been inhabited for centuries. Otojirō Uratani is currently the mayor of Obama. Obama is one of the locations where Japanese citizens were abducted by North Korean agents on July 7, 1978. Fishing used to be the main industry, but now it is mostly supported by tourism. 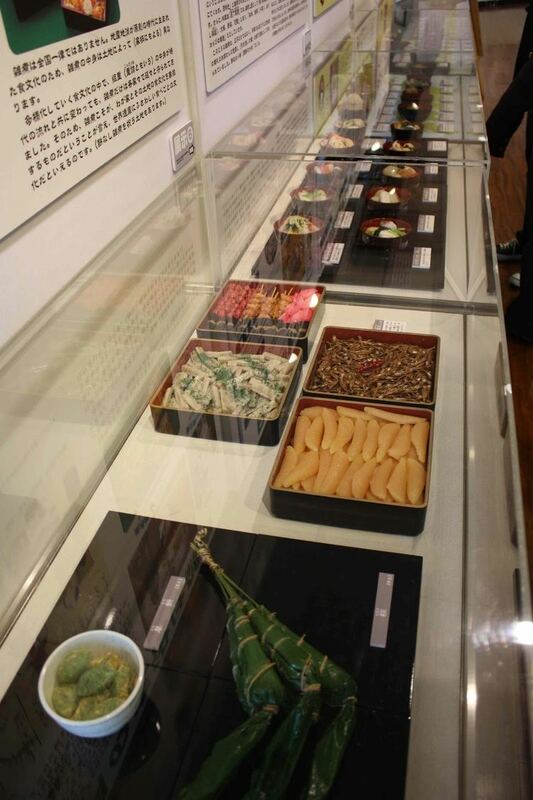 Wakasa lacquered chopsticks, agate accessories, and other crafts are made in the area. Fukui Prefectural University is located in Obama and has been operating only since 1992. However, in this short period, the university's Research Center for Marine Bioresources has been noted for its research of preservation and in the fields of fish embryogenesis, aquaculture stock enhancement, fish disease, and microalgeal bloom. The university also has schools (faculties) of Economics, Nursing, Arts and Sciences, Biotechnology, and others. Medical research is done at the Obama Community Hospital. Obama is also home to the Wakasa branch of the Fukui Prefectural Library. The Omizu-okuri (Water Carrying) Festival is held every March 2 on which water is drawn from the Onyu River and presented to the principal image of the temple. This annual event dates back more than 1,200 years. Local tourist attractions include the Myotsu-ji Temple and the surrounding Karesansui Garden. The Wakasa Historical and Folk Museum is housed in a large, modern facility. Among other items of local interest, it houses many Jomon period artifacts, including those from the important Torihama shell mound in the area. Obama is also home to Hosshinji, a working Zen monastery. Obama has sister and friendship relationships with the following cities. The city of Obama has received much publicity because it shares its name with former U.S. President Barack Obama. It began when Obama as a Senator gave a 2006 interview to Japanese television network TBS where he noted that, when passing through customs in Narita Airport, the official who inspected his visa said that he was from Obama. The Obama City Hall heard about the interview and the mayor, Toshio Murakami, sent Senator Obama a set of the city’s famous lacquer chopsticks, a DVD about the city and a letter wishing him the best. As Senator Obama's presidential campaign progressed, more local businesses began to organize primary parties and put up "Go Obama!" 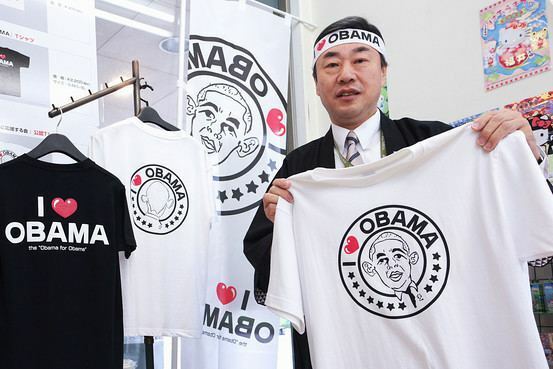 posters, sell "I love Obama" T-shirts, and produce manjū (a type of Japanese confectionery) with Senator Obama's face on them. A hula group began in the town in honour of Senator Obama's home state of Hawaii. The troupe visited Honolulu in June to perform at the Pan Pacific Festival. Obama has since thanked the town for their gifts and support, saying "I look forward to a future marked by the continued friendship of our two great nations and a shared commitment to a better, freer world". There are a number of Japanese with the surname Obama. Though the former American President is of Kenyan Luo heritage, it is not uncommon for Japanese and East African names to sound alike. As a result of the victory by Barack Obama in the 2008 presidential election, the Mayor of Obama City announced to the Japanese press that he intends to commission a statue of Barack Obama to be put in front of the city hall "as a token of the great historical moment for the name Obama". On January 20, 2009, the day that Barack Obama was sworn into office, the city of Obama celebrated the inauguration with women dancing the hula at the Hagaji Temple. On November 14, 2009, President Obama specifically acknowledged his connection with Obama by mentioning it and its citizens in a speech at Suntory Hall in Tokyo. In 2013, Obama mayor Koji Matsuzaki gave a red lacquer pen to Japanese Prime Minister Shinzo Abe to give to President Obama.